If you thought Microsoft’s big push to gain mindshare to push Windows 8, Windows Phone 8 and Bing, were just for the holidays you would be wrong. Microsoft is out to push every angle of its wares at every opportunity. Now, the focus is on Gmail and, you guessed it, Google’s advertising practices compared to Microsoft’s competing Outlook.com email service. We know what you are thinking, free email services, regardless of provider have some measure of content scanned for purposes of selling advertising space. However, Microsoft has made it pretty clear the company does not scan content for that purpose and that has been a differentiating factor for the company. To that end, Microsoft has also been lobbing direct advertisements against Google for all sorts of services, search, commerce and now email. 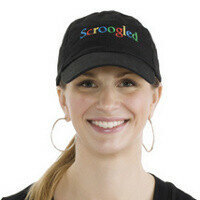 The Scroogled campaign has entered its next chapter, and anyone that has ever used Gmail before knows what is being targeted, the advertisements. The claims are a little bombastic, but you get the point. Besides, all Microsoft wants to do is create a shadow of doubt. However, we did a quick, non-scientific test of our own. We sent an email to one of our Gmail (free, ad supported) accounts from a hosted Exchange account (not free, no ads) to see what would happen. On the first opening of the email you can see the ad link and its obvious relationship to part of the content of the message. To be fair however, when we opened the message a second time the ads were not relevant to the email at all. How is your experience with Gmail? Are the ads hauntingly accurate? Or do you not even notice them since they are fairly small? True to form, Microsoft has a couple videos to make their case and we are not even sure how to rationalize their use of Google's YouTube service to make their point, but there it is anyway. I don't mind a little advertisements here and there, but too much adds becomes nonsense like on PA itself the popup video add that starts even if you hover cursor on it. Now Google is on verge of adds and too much adds. Even I had to install addblocker for using YouTube. I also dont have anything to hide in my mail, you can give me adds but I dont like my data to be scanned. gmail and youtube are the only google service I use on daily basis and I owe google for these free services. but my youtube experience is now degraded by too much adds. "excess of everything is bad"
Really, someone to speak atlast. Google is really milking the services provided, which has become quite irritating. use yahoo or bing then ....yahoo is better than bing ! its not about being good, i like google and all its services but these ads always ruin the experince of what might be a good surfing session. Why would Google give everything for free? Do you think he would give us Android just because? Who the f--k keeps posting thumbs down for criticism about too much adware? 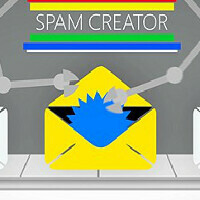 Are you idiots actually in favor of being spammed? They are downvoting any negative comment about Google, that's how their juvenile fanboy minds work. 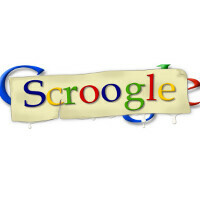 "Criticism about Google? Ain't gonna happen!" It doesn't matter if the criticism is legit and appropriate, they are too f-ing stupid and arrogant to care about such things. Welcome to the world of Android. Yahoo is powered by Bing. milking the services provided... so how much are you paying for the ungodly amount of services google offer's? right... thought so... more to the point however, i can care less about a bot scouring the content of my NON SECURED EMAIL (which ANYONE can do), using it to serve ad's, then moving on... The above being said however, I do have a problem with the data retention policy's and how easily the data stored can link keywords in the email back to the sender and reciever... Again, the above being said however, they did try to reopen the email and it no longer had a relevent ad attached, so its possible they solved my above issue... BUT HEY! lets all my a mountan out of a mole hill! Its on youtube.......................Ah ! the irony !!!! Rightly put. users might get irritated but they are never gonna change their minds over this. I am a huge fan of MS myself but MS should really spend their time developing the quality of their services to "MAKE" the users change their mind in switching to bing instead of bashing the competition. No, i prefer google myself as it has become an integral part of my online time. all i am saying is, these ads put on by google sometimes get irritating. But when it comes to MS, Bing and outlook, there is still a lot of work to be done in earning the attention of the users. MS have top quality services but google is way ahead of 'em when it comes to user's comfort. U r on tech website n u dont know about Ad Block ? u should try that for your browser to stop all ads (I mean all).......Honestly, its the best thing since sliced bread ! everyone knows about the ad Block, this discussion is about the intentions of a socially adored company towards its users via their public services. Let me ask you....which would be more irrating: a picture ad or a text ad? Hotmail has picture ads. That slows things down vs text. Honestly, I dont where to start but here I go: There are insanely high costs associated with running a website like youtube and those developers need to be paid, simple. So ad is their only source of income. Nothing in the world is free. Everyone company is there to earn profit on good products. MS is charging stupidly for MS Office because they know businesses will buy them. The Ad Block extension has won multiple awards and has 10 million downloads and you still doubt the developer ? Not to mention Chrome wouldnt let any random extension to go on its Chrome Web store. Whats about the average user u r talking ? Its only a download button you need to click thats all. (BTW i am not 'ordering' anyone. It was a mere suggestion as u were 'irritated' by the ads) And why the hell on earth I would ask you to exchange your desktop it has absolutely nothing to do with the argument. BTW, Is that elephant, a pokemon ? If you don't know, you better know... Google is part of the New World Order... Illuminate. "Illuminati" Just Illuminating some info for ya.